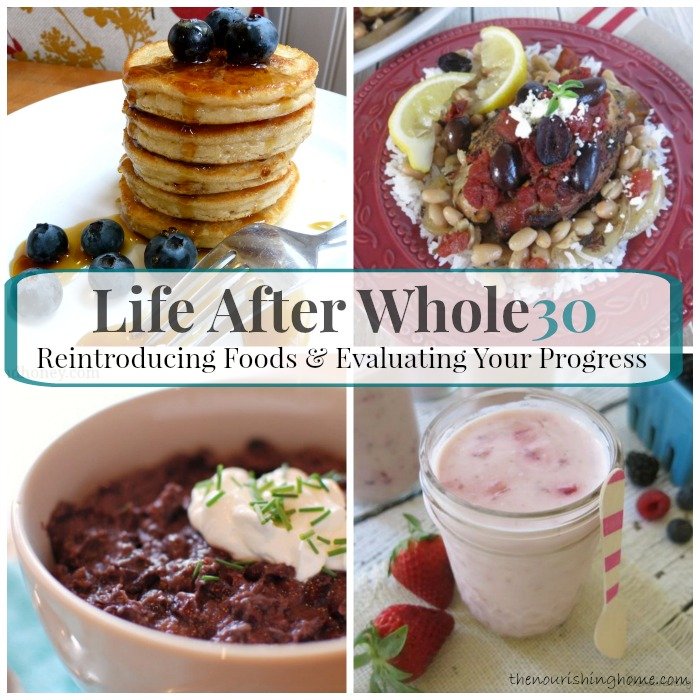 Life After 30 — Dine on In! The irony in this new phase is just bizarre. Now that I am eating some of the stuff that was eliminated from my diet, I instantaneous am affected with changes both inside and out. This definitely did not happen the other way around (seeing instant changes inside and out while on the Whole30). I can remember my 1st week, being oh-so-careful of what I put into my body. I took a sip of a beer. That was it. I ate a small Mexican soup and had 4 chips and salsa. That was it. I felt fine, like my old self. "That was mistake number ONE. I felt like my old self- and like my old self, I tend to overindulge with food. Holy Crap! Food wasn't the problem. The problem was ME! Ladies and Gents, My name is Martha and I overindulge on food!". ---So I continued the weeks that followed, (AKA known to Whole30 peeps as RE-INTRODUCTION) monitoring how certain foods made me feel both inside and out. I wasn't feeling anything out of the at the beginning. The 4th of July, I had processed food for the 1st time, I had a BBQ Pulled Pork Sandwich and Cole Slaw. I also had one glass of Sangria (or was it two?). It was delightful, but I stopped right there. My taste buds weren't needing any more. I was happy, content, satisfied with what I ate. I was elated! Finally, I felt like this entire process came to a full circle. Then came the dessert, oh-my-oh my! I haven't had sugar in 30 some days, I was sure a taste wouldn't affect me- right? (There I go OVERINDULGING again). It was a homemade apple cobbler. It was done to perfection and served with vanilla ice cream. "My mind was telling me no, but my body, my bodyyyyyyy was telling me yes"! (R Kelly ref, um yes). I went for it. The next day I paid for it. The symptoms I had from reintroduction in my 1st week, lasted the whole week afterwards. I was bloated like a preggo. I had heartburn and gas like no one should EVER have, like EVER. I also started to breakout around my face. It was crazy hormonal acne, around my jawline (the worst kind in my opinion). I mean, not that I was not prone to breakouts before, but eating clean I did notice less of them. I was getting emotional again. I found myself crying and blaming. I felt edgy with others. I realized then, that perhaps I might of had too much of a good thing all at once. I think I was supposed to eat (_this) and see how I reacted. Not all of them forbidden items in one sitting! My body was feeling like a rollercoaster that has just fallen off its tracks. It was the worse feeling. Maybe the body is not capable of handling many things that isn't a whole food. At least, MY body wasn't it seemed. It sucked. As the weeks progressed, I found myself feeling sluggish again. Each time I ate something that I was "re-introducing", my body reacted adversely to it. I was eating whole30-ish during the week, and trying the reintroduction during the weekends. I found myself really struggling like the 1st round of Whole30. I started thinking that this lifestyle was an all or nothing approach. It was frustrating to feel that each time I ate something that wasn't plant based, grass fed, organic, whole food like, I would be affected by the dairy, the sugar, the gluten, the soy, the alcohol, the legumes, the grains. It definitely created some challenges in my social life and disrupted my otherwise happy day(s). But, I was determined to live a better lifestyle. Healthier and filled with nutrient dense food. Cooked at home whenever possible and seeing eating out as welcomed challenge, but also NOT being so judgmental of myself for eating things like an iced coffee and a croissant at midday, especially on my writing days! The experience of the Whole30 was harder than I thought. It pushed me be creative in my cooking, and in turn it made me a better chef, a more focused and thoughtful eater, and also more apt to take time to prepare my own food versus falling into the pitfalls of such unpreparedness or "being on the road, hungry and wanting to overindulge in s@itty and bad food". I ate less out of boredom, and more toward fulfillment, enjoyment, and nourishment. I took time to prepare the food that I created. I actually turned off the TV, sat in silence, enjoyed each bite, and focused on life's great joys versus my CRAzy to- do lists. I felt less guilty, but also reminded myself of what the overindulgence felt like. I have taken the experience as valuable. So if you are wishing to do this. I say, Go for it! BUT.... PLEASE share with me YOUR story. DEAL? Good luck to you on your journey. It's going to provide you with much knowledge about yourself.